Crystal Palace and West Ham United linked midfielder Leander Dendoncker has revealed that if there is big news from his agent on a move this summer then he can be reached at the World Cup. The Anderlecht schemer, who has also been linked with Spanish trio Atletico Madrid, Real Betis and Valencia, is part of Belgium's World Cup squad. 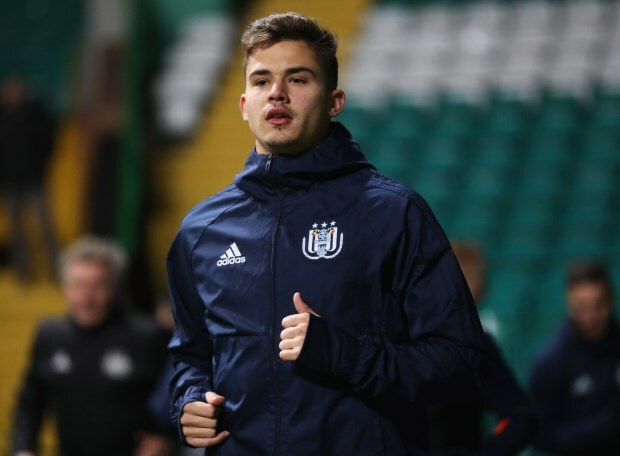 Dendoncker admits that he needs to focus on the World Cup at present and not his future at club level. But the midfielder insists that if anything big happens then his agent can always contact him, while he also stressed he cannot completely rule out staying at Anderlecht. He told Belgian daily DH: "I am not thinking about that [my future] right now. "My agent can call me if there is big news. "We will see if this is the case. "It is not 100 per cent certain that I am leaving. It is not at all for sure", Dendoncker added. The 23-year-old midfielder has won just four caps so far for Belgium but, part of Roberto Martinez's squad for Russia, could boost his stock and become a more in demand player by putting in good performances at the World Cup.